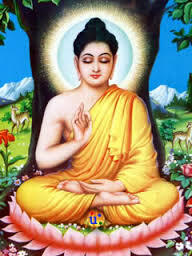 Buddha Purnima during Vaishakha month is celebrated as birth anniversary of Gautama Buddha. Gautama Buddha whose birth name was Siddhartha Gautama was a spiritual teacher on whose teachings Buddhism was founded. It is believed that Gautama Buddha obtained Enlightenment and passed away on the same day. Buddha Purnima is also known as Buddha Jayanti, Vesak, Vaishaka and Buddha’s Birthday.